Running about all-active has everything going for it looking-wise. How the world works. Walking through a room with the demon-box blaring, hear a news report. Someone collected a -- literal -- ton of rubbish from beaches in bags. A 'most disheartening experience' he's said to have remarked. Action. No, ask or reward, aside from the exercise that he complains is in vain and make any sustained difference. A prophetic act. Could be that. With God the acts 'out there' are common use and needed but the special purposes are without a crowd and eyes on. Hidden with the Hidden One. Most all find the outward stuff easy compared. To go here, do that, talk thus, do stuff... is self-stimulating and motivating. Might be knackering but what faith involved is physical and evident. Useful = material. Harder is what's needed and the battle for humanity. This presupposes getting that 2018 isn't some last-days Biblical read-into signs of times. Yet -- is the last of days-like-these last good-few decades. All/most because the 'prophets' of this new age are doing a 'whitewash'. This, in turn, keeps the cry to pray muted. At least in UK and parts like. Or hear some go; 'soon and very soon we are gonna see...' -- to off we millenium whisk and delight. Agreed there's a tone for this in the N.T. but it's in a non-whitewashed world and expectation Jesus to soon return. Still 'soon' but... the call to be useful is neigh on useless, if it's all about hang-on and wait for the home here on earth. In a twinkiling get renewed and the true tomorrow. No, there's a time for the longing we meet God like this but now-days is another phase. The not-yet full-here and our call to get in the way thereof. To be in a gap. To get off when practical and common use into reserve what can, for the silent, make DIY noisy ways. Non-people activities and realms. How despised except for all but those who see with eyes... Not about self-enlightenment. Talk of attachment? Setting aside and separate. Rather, IN God in-contact, know feelings about or not -- with God. 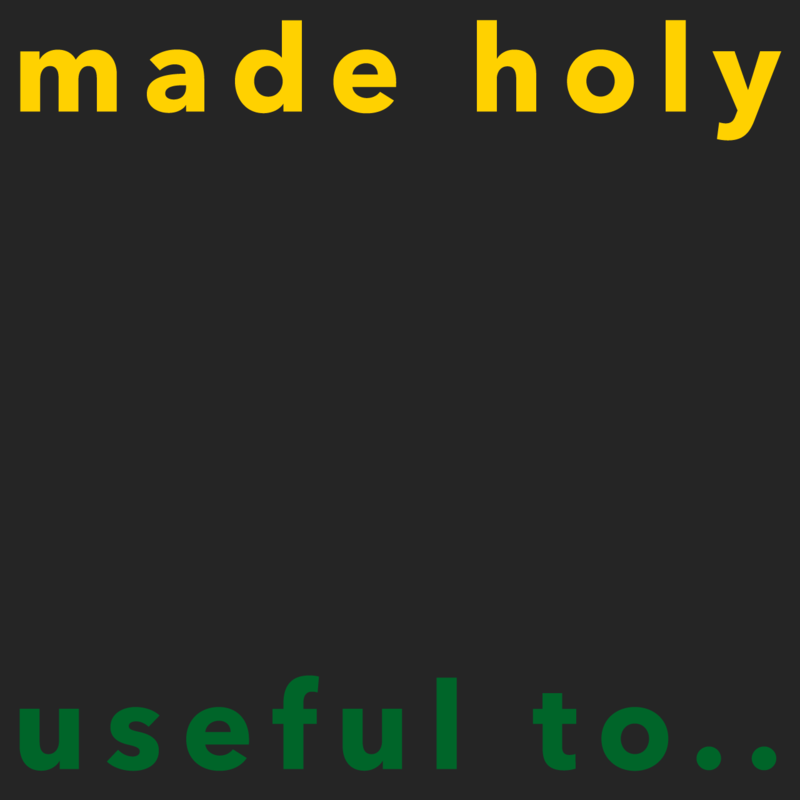 Holy = separate unto, not -- into me-me-me but about something useful in the yapping and movement. Useful in addressing the collapse, or at least redeem within the coming collapse/s. Strides are right to help express Christianity and not look weird and wonky. Why should garbled religiosity freak people off? All good: Openness and convictions. Wise as the serpents, and simple as the doves Jesus called it. But -- when we get down to it -- those with eyes to... / 'eyes on' in this case and ...God -- the way of the pilgrim is much about being alone. Be lucky if can find another/make two. Find ten? A local church? Phew -- more than my faith extends. The disconnect inside is that God is/can be, our all in all. This exclusive and there we have it. No one forced or even pushed. Invited -- yup, and what the scriptures say should, if want, what most about. There's the world, the -- call it -- 'flesh' and devils against. And there's secret places and get away and God.